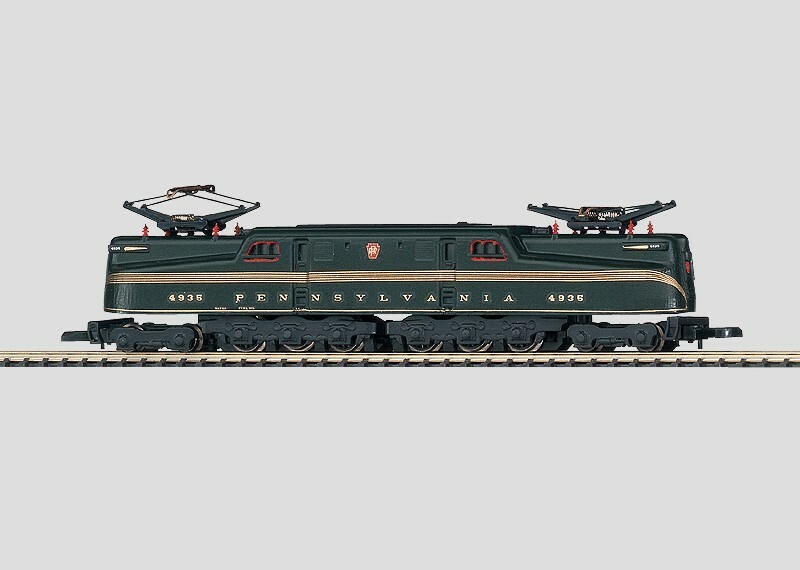 Zmodell 10490 - Zusatzgewicht für Märklin US GG1 elektroloks (88490, 88491 und 88492) - Z-Freunde International e.V. 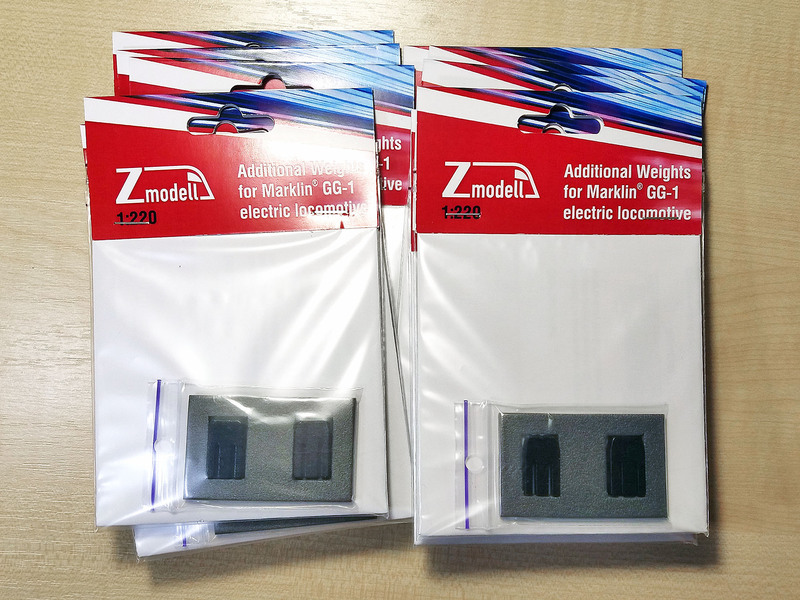 Along with other news I'd like to tell you about one of our small, but useful accessories for Z scale - additional weights for US electric locomotives PRR class GG1 (Märklin 88490, 88491 and 88492). This upgrade kit already exists a certain time and I've posted a thread about it on another forum, so I'd just repost it here. However these locomotives have a known weakness. Despite very big size and a lot of axles (6 powered), they have too low weight which leads to very poor towing capacity and unstable power pickup. Very specific construction of locomotive is also playing bad role - only part of total weight presses on driving wheels, because separately attached metal pilot trucks don't participate in this. 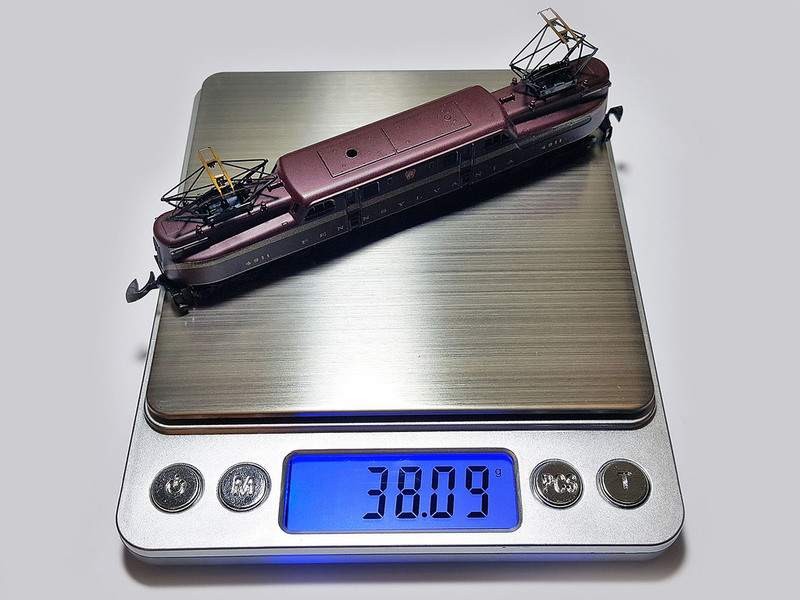 Result is predictable: towing capability of GG1 is comparable with small 4-axle locomotives like SBB RE 4/4 IV and significantly lower than one of Märklin's big 6-axle locomotives like BR 151, BR 103 etc. 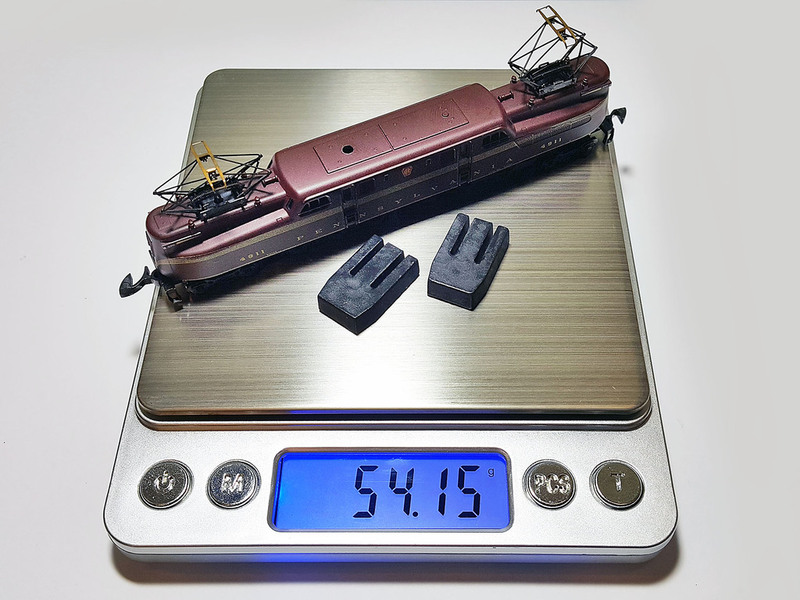 Märklin refused to use advantages of big size of GG1 and made too small and light metal chassis with insufficient weight (see attached pictures). 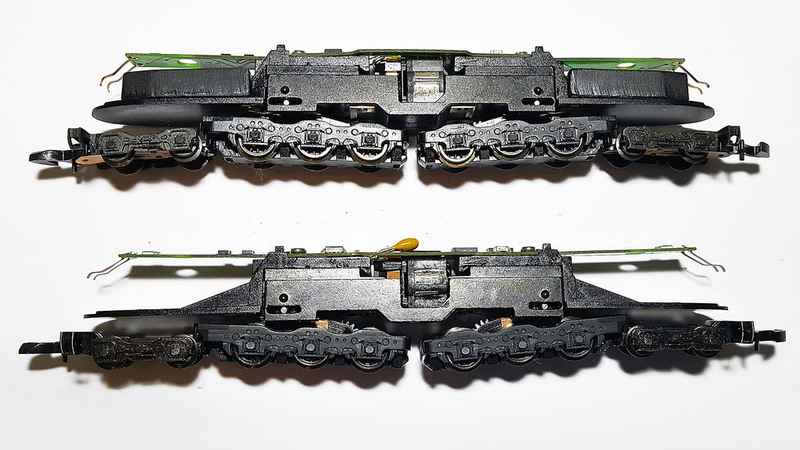 I decided to fix this and developed additional weight inserts for these locomotives. 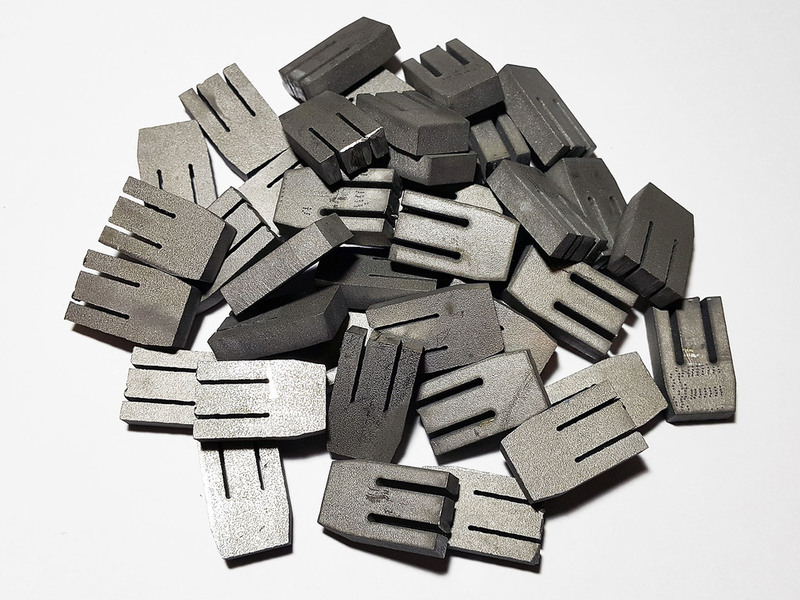 They made from 5 mm thick stainless steel sheets on industrial CNC laser cutting machine and painted with black paint for better look and electric insulation. 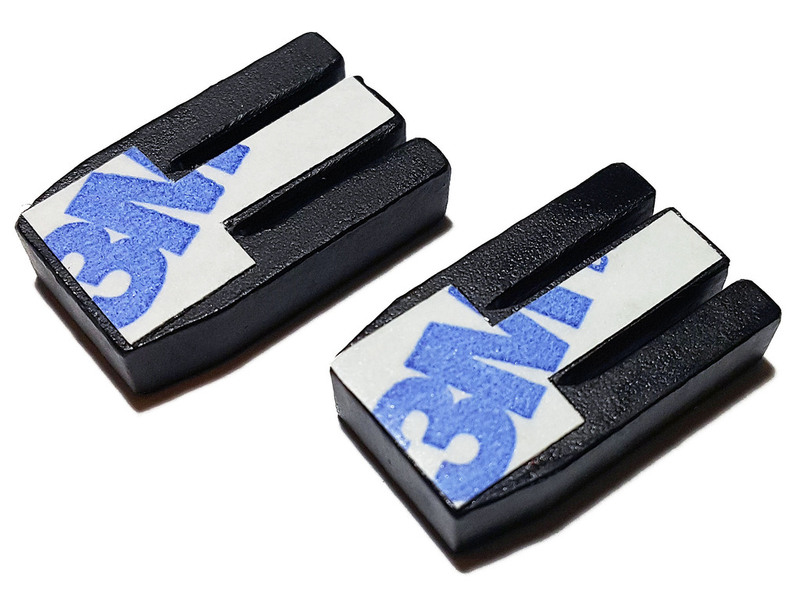 For easy installation weight inserts have already applied adhesive tape on the bottom side. 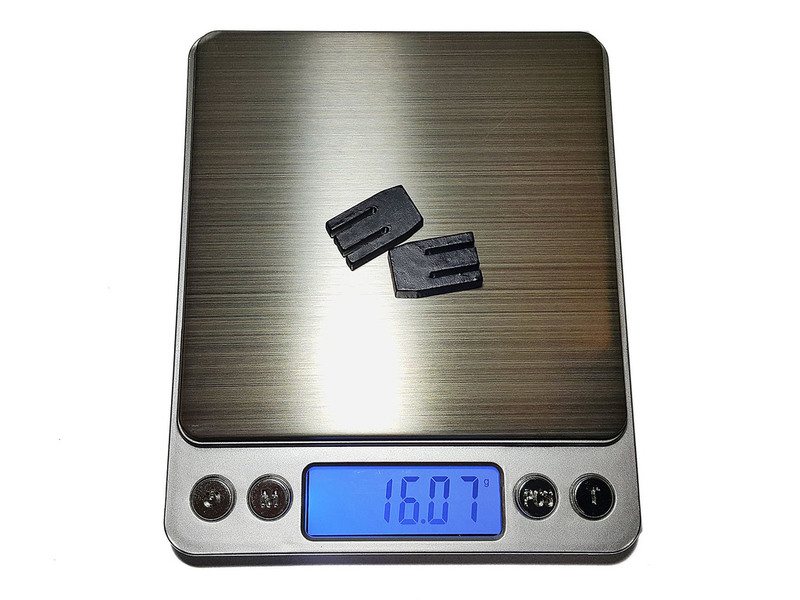 Each piece weights 8 grams; one GG1 needs two pieces which gives additional 16 grams. 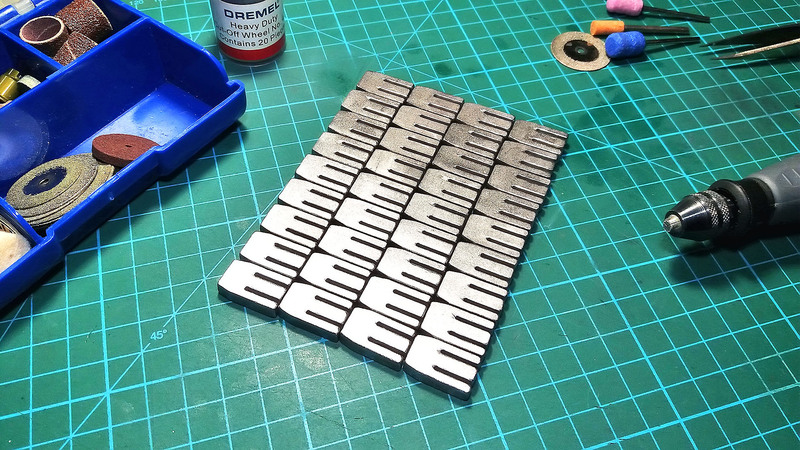 Single GG1 locomotive weights 38 grams, and total weight with two metal inserts rises up to 54 grams. Practical tests show very nice results: improvement of GG1's pulling power after installing of additional weights is significant. 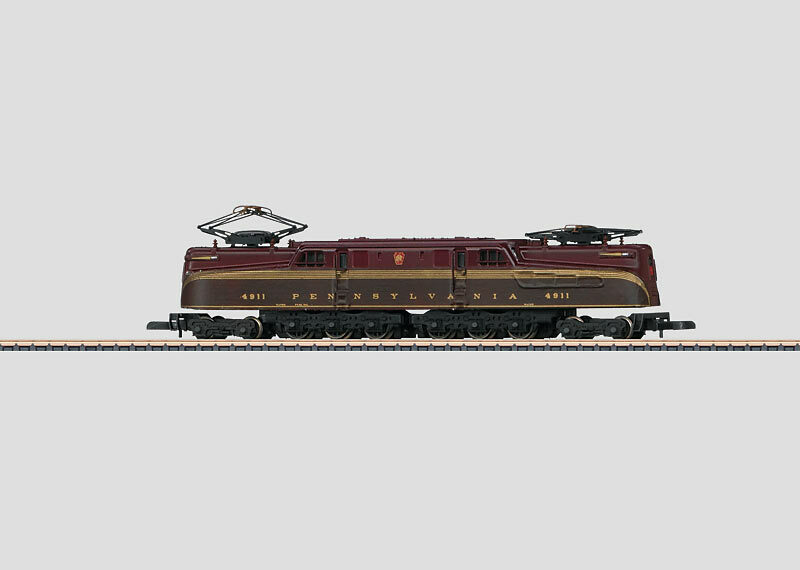 For example, without additional weights GG1 can barely pull one Märklin 86501 track cleaning car (which is equal to approx. 10 4-axle "normal" freight cars). 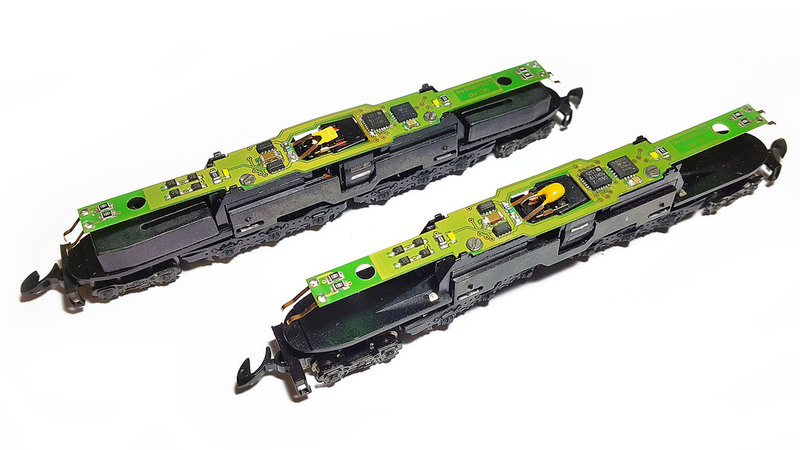 And after installing of weight inserts GG1 easily pulls two Märklin 86501 (equal to approx. 20 4-axle freight cars) without any problems at a full speed. Please take a look at attached photos. 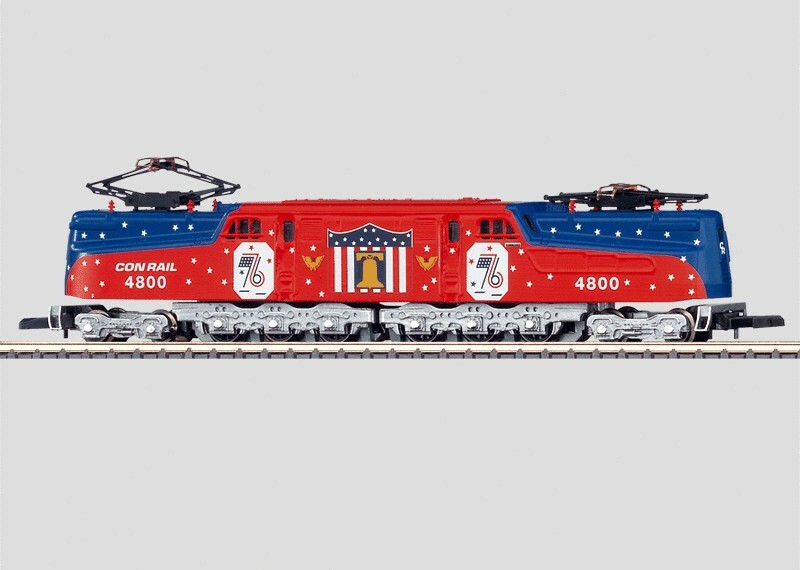 GG1 locomotives are depicted here with VELMO LDS609646 digital decoders installed. 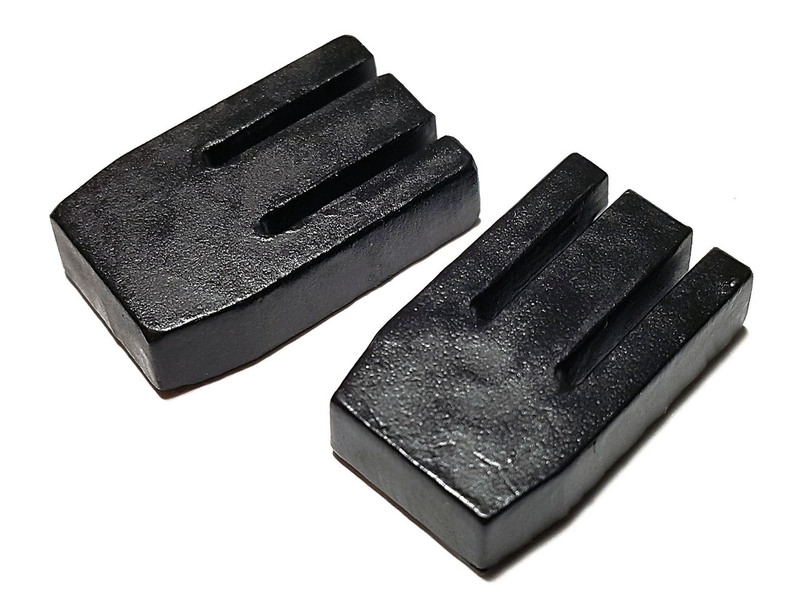 We can also distribute them locally in Europe.